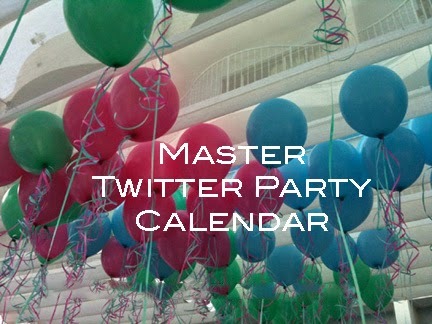 Add an event to the Mommy Blog Expert Master Twitter Party Calendar free by emailing janis@janiselspas.com with Twitter Party in subject line including all details and links in the body of your message. FTC Disclosure: MommyBlogExpert does attend some Twitter parties as a guest and also works as a consultant, host, co-host, and/or panelist on others. Except for the 2/23/15 #ChosenCandy Twitter Party, I am not receiving payment or compensation associated with any party on this calendar. See complete FTC Disclosure information that appears at the bottom of MommyBlogExpert's main page and at the bottom of every individual post on this blog, including this one.